THIS CONTEST IS NOW CLOSED! THANKS FOR VISITING. Leave a comment below with the three bands you would have headline your dream music festival and where this event would take place. Winners will be chosen from the responses and notified at least a week prior to the show. Good luck and thanks for visiting Live Music Blog! Call it Mardi Gras, or call it Carnivale. 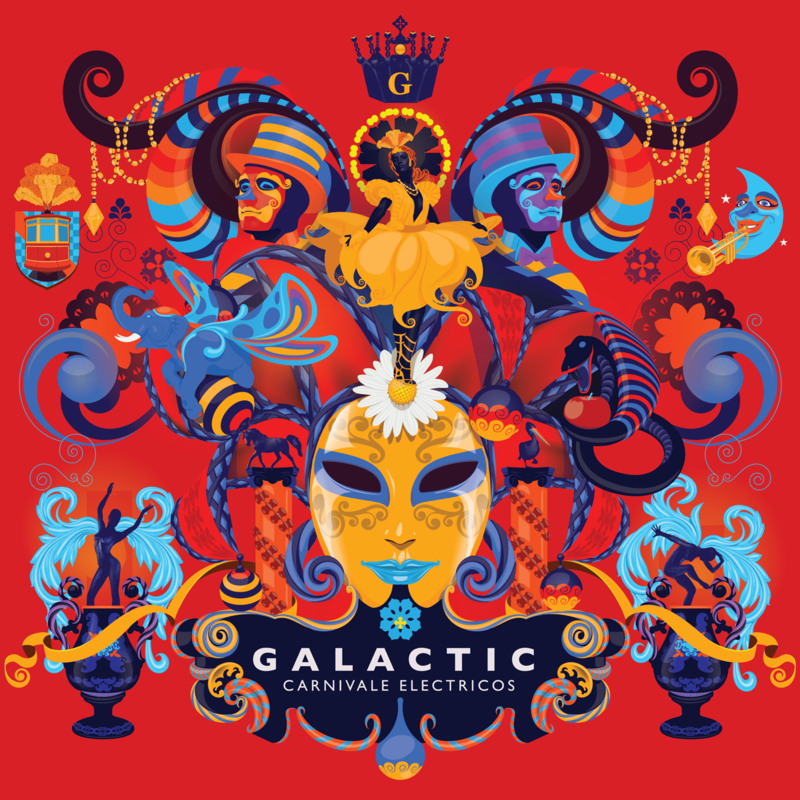 Galactic captures the modern vibrancy of this annual bacchanal – and blazes a trail to its future – on Carnivale Electricos, the group’s most ambitious release to date. 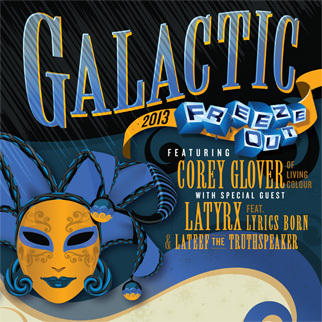 Over the course of thirteen tracks, Galactic explores the connections between the Mardi Gras in their native New Orleans and the mighty megacarnivals of Brazil, whisking listeners between neighborhoods and cultures on a parade of genres from blistering rock, hip hop and r&b, to samba, zydeco, jazz and of course, funk.